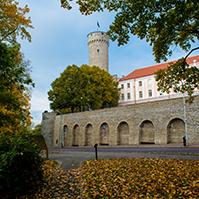 The Riigikogu passed with 68 votes in favour the Foreign Service Act (732 SE), initiated by the Government of the Republic. The Act specifies the rules concerning employment in the foreign service and assignment abroad, and the requirements for determining service ranks of career diplomats. The Act also regulates social guarantees given to diplomats, administrative workers and the members of their families. 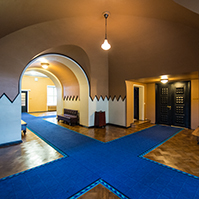 The Act applies to the officials of all ministries, who are engaged in the foreign missions of Estonia, and also to the diplomats who are working in the main building of the Estonian Ministry of Foreign Affairs, about eight hundred people in all. 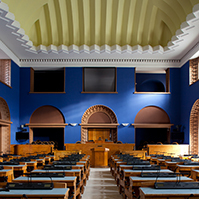 The Riigikogu passed with 67 votes in favour the Radiation Act and State Fees Act Amendment Act (853 SE). The Act brings the valid Radiation Act into conformity with the requirements of the relevant Directive of the European Union, regarding, first of all, the high-activity sealed radiation sources. The purpose of the Directive is to avoid the exposure of workers and other persons to ionizing radiation, which arises from insufficient supervision over high-activity radiation sources and orphan sources, and harmonise the local supervision of the Member States of the European Union over all such radiation sources. 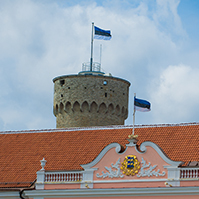 The Riigikogu passed with 66 votes in favour the Act on Amendments to the Competition Act and Associated Acts (854 SE), initiated by the Government of the Republic. The Act simplifies the situation of entrepreneurs in notifying of concentration. The fundamental part of the Act concerns the chapter on the supervision of concentration, the amendments to which give the entrepreneurs a clearer understanding of terms, the required information, the added documents and the rules of procedure in submitting written notices. The Citizen of the European Union Bill (864 SE), initiated by the Government of the Republic. The Bill on Amendments to the Identity Documents Act and State Fees Act (879 SE), initiated by the Government of the Republic. The Bill on Amendments to the Citizenship Act, Punishment Register Act and to the State Fees Act Arising Therefrom (883 SE), initiated by the Government of the Republic. The Res Publica Faction moved to reject the Bill at the first reading. The motion was not supported. The result of voting: 18 votes in favour, 45 against. 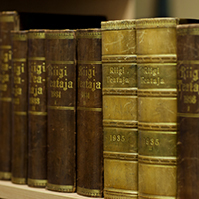 The Draft Resolution of the Riigikogu On Amendments to the Resolution of the Riigikogu On the Formation of the State Budget Control Committee of the Riigikogu (880 OE), presented by the Res Publica Faction. On the motion of the Social Affairs Committee, the Riigikogu rejected the Child Support Bill (850 SE), initiated by the Res Publica Faction. The result of voting: 47 votes in favour, 31 against. At Question Time Minister of the Environment Villu Reiljan answered the questions about residual pollution, drafting the development plan on the use of oil-shale, environmental protection and natural resources. Minister of Foreign Affairs Urmas Paet answered the questions about foreign policy and the borders of the European Union. 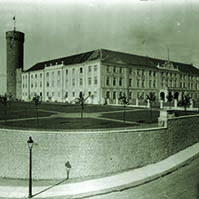 Minister of Defence Jürgen Ligi answered the question about the Pärnu Single Infantry Battalion.